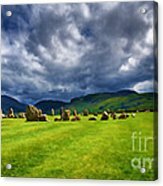 Castlerigg Stone Circle iphone x case by Louise Heusinkveld. Protect your iPhone X with an impact-resistant, slim-profile, hard-shell case. The image is printed directly onto the case and wrapped around the edges for a beautiful presentation. Simply snap the case onto your iPhone X for instant protection and direct access to all of the phone's features! Ooooo, I really like this one, Louise! 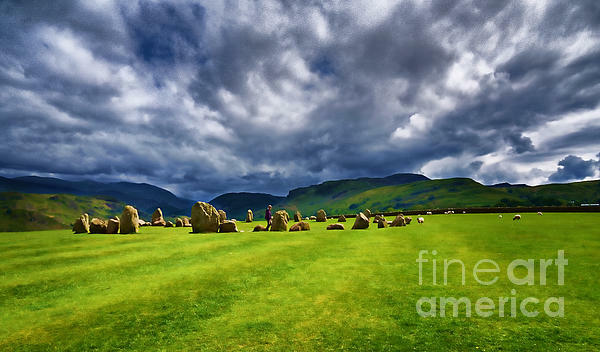 Castlerigg Stone Circle, Lake District, Cumbria. 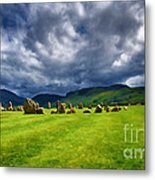 A moody image of the prehistoric stone circle on a stormy day. 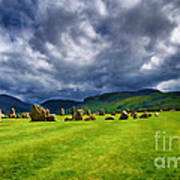 Image enhanced with digital effects.